Carlos A. Segovia is currently Lecturer in Biblical and Quranic Studies at Saint Louis University - Madrid Campus. Still in its infancy because of the overly conservative views and methods assumed by the majority of scholars working in it since the mid-19th century, the field of early Islamic and Quranic studies is one in which the very basic questions must nowadays be addressed with decision. Accordingly, this book tries to resituate the Quran at the crossroads of the conversations of old, to which its parabiblical narratives witness, and explores how Muhammad’s image – which was apparently modelled after that of the anonymous prophet repeatedly alluded to in the Quran – originally matched that of other prophets and/or charismatic figures distinctive in the late-antique sectarian milieu out of which Islam gradually emerged. 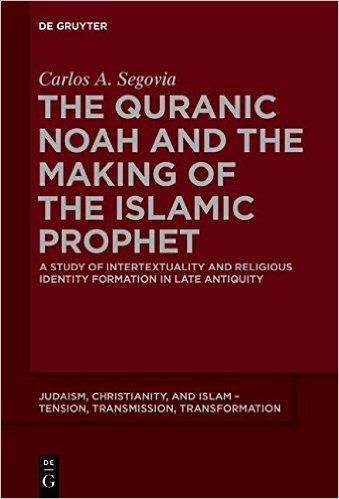 Moreover, it contends that the Quranic Noah narratives provide a first-hand window into the making of Muhammad as an eschatological prophet and further examines their form, content, purpose, and sources as a means of deciphering the scribal and intertextual nature of the Quran as well as the Jewish-Christian background of the messianic controversy that gave birth to the new Arab religion. The previously neglected view that Muhammad was once tentatively thought of as a new Messiah challenges our common understanding of Islam’s origins.